Boasting three Choice Hotel Platinum Awards (2013-2015), four Gold Awards, and a spectacular riverfront location near Dollywood, Gatlinburg and the Great Smoky Mountains, EconoLodge Riverside Pigeon Forge is the ideal destination hotel for your Tennessee and Smoky Mountain getaway. Stay in one of our newly renovated rooms and suites, featuring amenities such as free wireless Internet, refrigerators and microwaves. 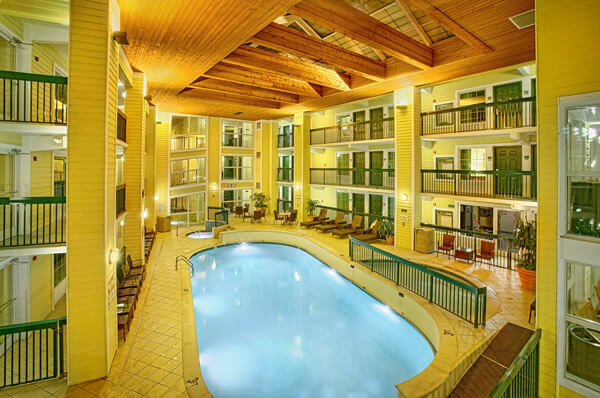 Ideal for family vacations and group stays, our hotel near Pigeon Forge offers a heated indoor pool, kiddie pool, and hot tub, complimentary deluxe continental breakfast, guest laundry and a game room. And, new for 2015, a new 500-foot, $600,000 riverwalk along the Little Pigeon River featuring a fire pit, cedar wood pavilion, teak wood picnic tables and benches, barbeque grills, and more. An assortment of attractions and activities abound either nearby or within walking distance of our hotel near Pigeon Forge, Tennessee. Dollywood Theme Park and Splash Country are a favorite amongst guests, along with the Titanic Museum, NASCAR Speed Park and the expansive Smoky Mountains. Review our area guide for more vacation ideas. 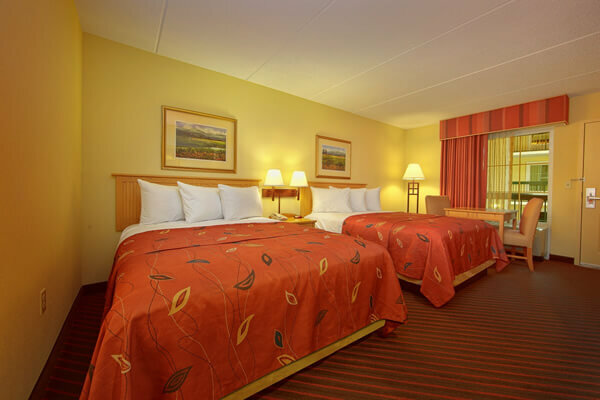 Combined with friendly service, our onsite offerings make Econo Lodge Pigeon Forge your ideal home base. Make a reservation at our hotel near Pigeon Forge, Tennessee online or call us at (866) 327-5032 and one of our agents will be happy to assist you with your stay. There are no videos for EconoLodge.